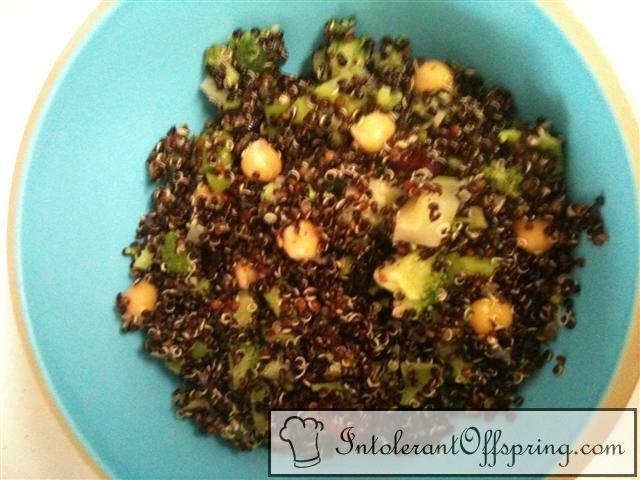 Boil quinoa and water until quinoa soaks up water. Steam broccoli. Add in broccoli, dried cranberries, chickpeas, and vanilla. Serve hot as a main dish or cold as a salad.